G Force cadet boots. Best value boots and durable. Black coated action leather, steel shank rubber sole and thinsulate lining- thousands sold. 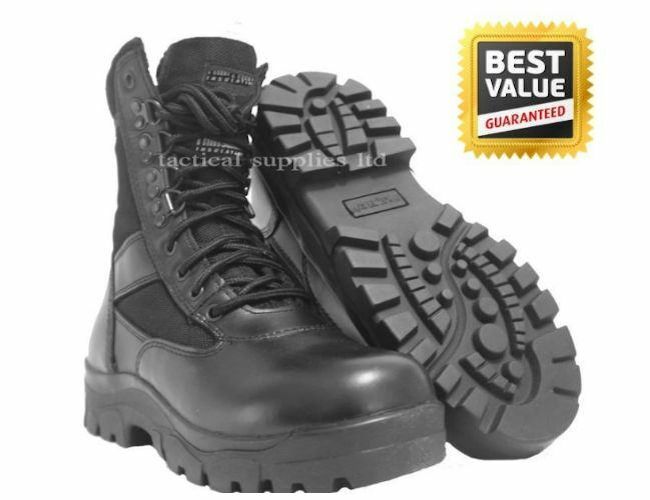 Great quality assault boots for cadets and security guards. This has been a very popular boots.